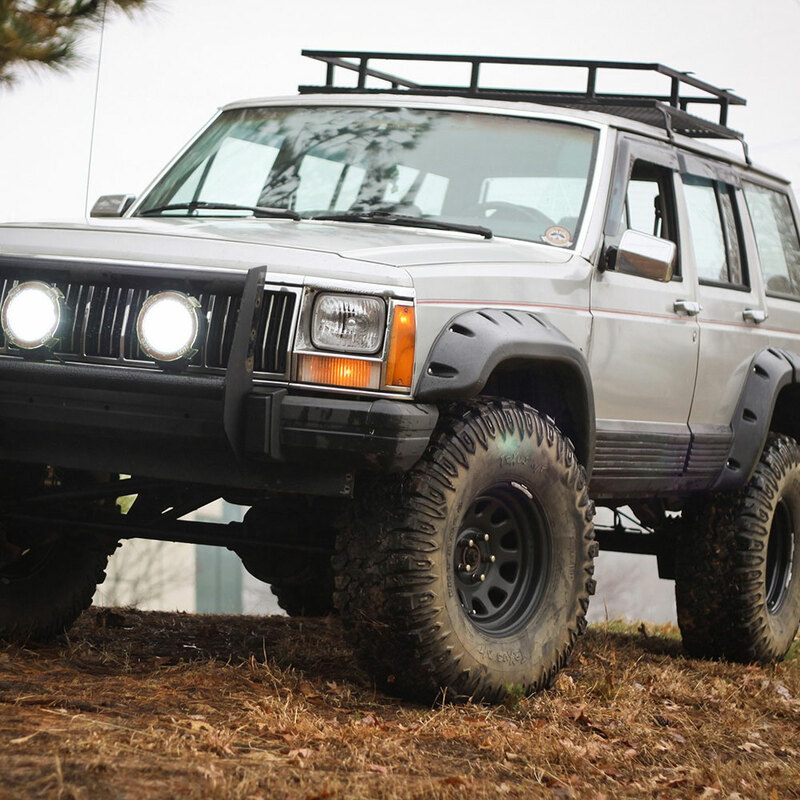 All Terrain Jeep Cherokee XJ Fender Flare kit fits 1984-2001 XJ with 4 Doors Only. Front Flares add 4.5" of coverage and the Rear Add 3.5". Kit Includes: 6 Fender Flares. Mounting Hardware Included. Paintable. NOTE: These require drilling and cutting to install.